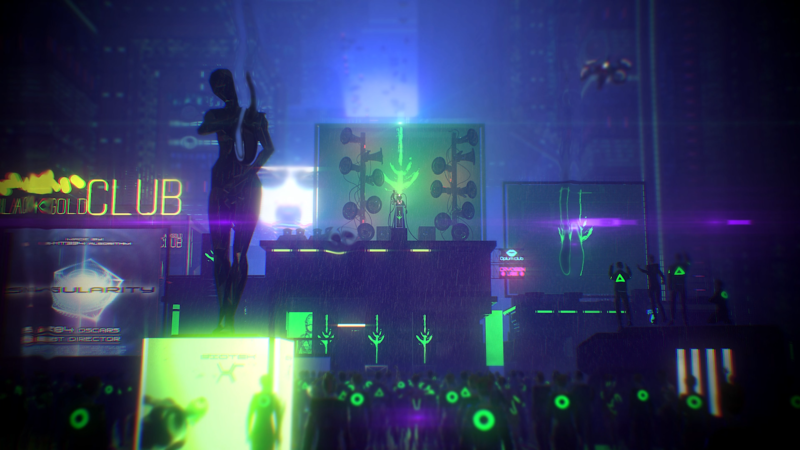 In Re-Legion, Ice Code Games’ futuristic cyberpunk RTS, you take the role of this technocratic society’s prophet, Elion. With your teachings, you give them hope and purpose, gradually transforming them into cult followers - easily bendable to your will. You will use them to carry out your wishes, from obtaining cyber-coins to pay for new gear and upgrades to hacking buildings and ad-boards to expand your territory in order to further your reach, among other more dogmatic options. How your story plays out is entirely up to you and what kind of leader you wish to become. Will you be altruistic and promote peace and goodwill, or will you persecute those that refuse to follow and rain down your cyber-god vengeance upon them? If this sounds like the game for you, then you’re in luck! Re-Legion has successfully launched today and you can get it over on Steam! Looking for more information on the game, or just wish to contribute to what you find? Head on over to the official wiki for Re-Legion here on Gamepedia!